Chanel Pour Monsieur Concentre is the platinum standard for all men’s cologne. I first picked up the now long gone original Chanel Pour Monsieur in a drug store when I was twenty-one and thought, well if Chanel was good enough for Marilyn Monroe then this might be just the ticket for me. In the age of patchouli, frangipani and tie-dye I really stood out in my Chanel and made a bold statement that at any time in history real style never succumbs to momentary trends. With the passing of Henri Robert’s original classic I graduated to Pour Monsieur. 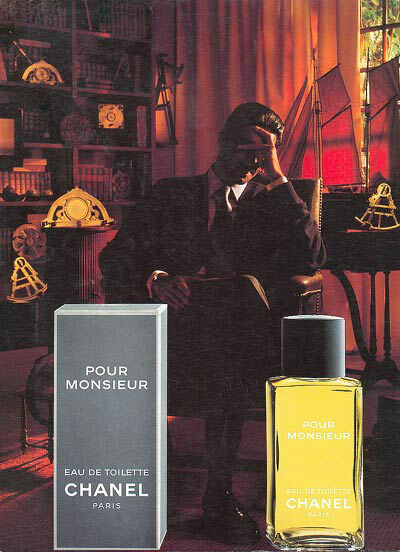 Now that has been replaced by Pour Monsieur Concentre by the current nose at Chanel, Jacques Polge. I often try new and exciting scents but always, always come back to this Chanel. Both men and women invariably comment in the positive when I wear it. It is never overpowering but draws people in. Yet for me what really matters is how I feel when I have it on. Henri Robert was a master and created a scent for men that is less about its wonderful notes of citrus spices and mosses but more about the emotional impact it has from the surface of the skin all the way into the soul. It is the history of male glamour, strength and style in a bottle and it is still alive and well in Chanel Pour Monsieur Concentre as reinterpreted by Jacques Polge. Hello Can you describe the diff between the original EDT and the Concentree? Have you smelled the newest ‘EDP’? Even though they share the same name they are two entirely different fragrances so for me there is no comparison. The Chanel website’s Pour Monsieur now says ‘Eau de parfum’. You suppose that is Concentree with a new name? They make a new one? They still make the original and sell it in Europe and Canada (and on Princess Cruise ships!) The Concentree was introduced in 1989 when they stopped distribution in the USA.